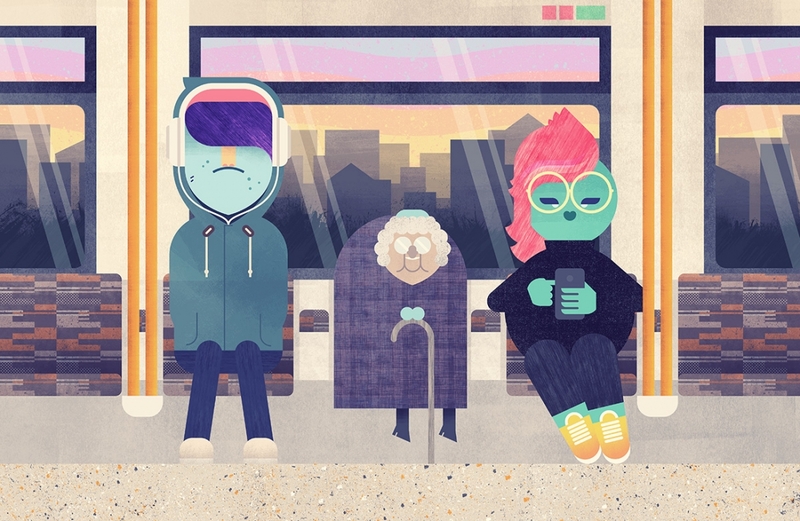 Sam Glynn is an illustrator based in London. He received a first-class honours degree in BA Illustration from The Arts Institute at Bournemouth in 2006, and worked in motion graphics and television until 2014, when he decided to dive head first back into the world of image making. His work employs clean shapes and lines, balanced with handmade textures created using paint, ink, or anything that makes a mark on the page. Sam has also been known to make the odd GIF. Discover more of his work at www.samglynn.co.